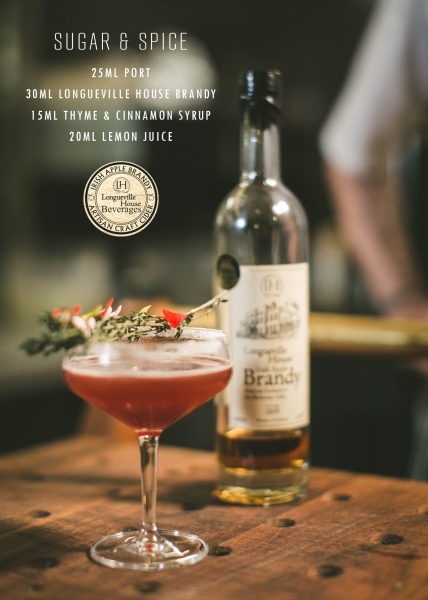 "Longueville House Irish Apple Brandy"
Our Brandy develops a rich, dark colour after four years resting in the oak barrels. 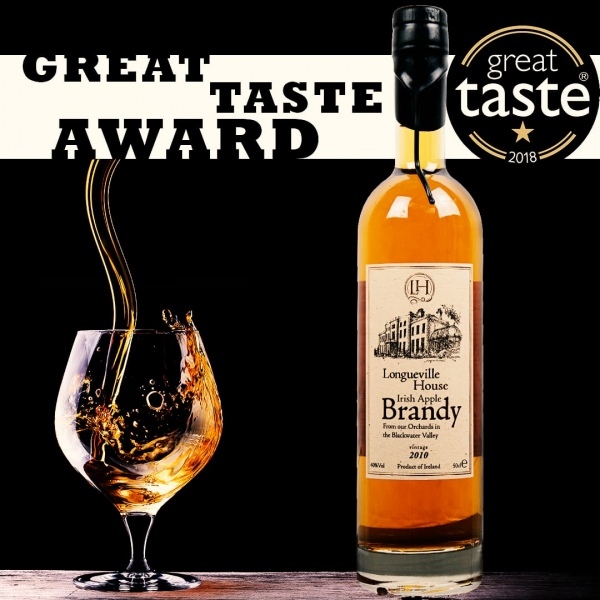 A fantastic after dinner drink served straight up, no need for ice or a mixer, warm the brandy in a brandy balloon in the palm of your hand to release all those wonderful tastes, flavours and aromas. 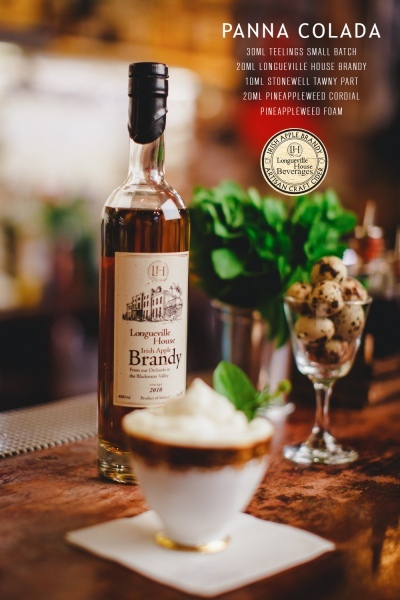 Our brandy is also fantastic and very popular in cocktails or simply add to coffee for a unique Irish Coffee - we call it “Longueville Coffee”. "Longueville House Irish Apple Brandy 2010 Vintage"
"Deep bronze in colour. Welcoming aromas of toasty oak, sweet shops, orange sherbet, rose water, parma violets, lilac pollen, dried citrus peel, apple strudel, cinnamon and nutmeg. Smooth and velvety in the mouth with a pleasantly refreshing character. Not at all overly oaked or harsh. Flavours of spiced apple, cinnamon, stem ginger, nutmeg, lilac, violet, rose and other flowers. The finish has toasty oak, citrus peel, grapefruit and apple cake flavours."